Welcome to CPAP2U.com, family owned and operated. Please order online with our Secure SSL security or call toll-free 1-866-994-7082 to phone in your order. 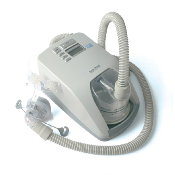 Devices and machines for CPAP, BiPAP, BiLevel and related therapies. Available separately or with humidifiers. 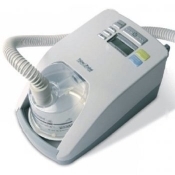 Humidifiers for CPAP, BiPAP, BiLevel and related therapies. Humidification is a typical comfort feature required by most patients to help alleiviate dryness, nasal congestion and discomfort. Chin Straps designed to be used with CPAP, BiPAP, BiLevel, VPAP, AutoSv and similar therapies. They help to minimize oral leak which results in better results and less discomfort from dry mouth. Replacement filters for CPAP, BiPAP, BiLevel and related therapies. Reusable filters are washable and filter out the basic particulates from the air. Disposable white fine filters offer a hypo-allergenic level of filtration, a HEPA level of filtration. Replacement headgear for CPAP, BiPAP and BiLevel related masks from most manufacturers. Available for Full Face, Nasal, and Hybrid style masks. Replacement tubing, filters, mask, humidifier and machine parts for CPAP, BiPAP, BiLevel and related therapies from most manufacturers. Common and convience accessories used for CPAP, BiPAP, BiLevel and related therapies. This include cleaning supplies, power options, inverters and other options available for various machines from many manufacturers. 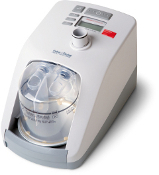 Replacement nebulizers, parts and filters for compressors commonly used in home nebulizer and breathing treatments. 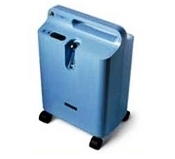 Concentrators and Replacement parts for Oxygen Therapy. Includes: Cannulas, tubing, connectors, concentrator filters, cylinder supplies including tank regulator and carry bag. Replacement filters, connectors and adapters for home suction equipment. Replacement filters for home ventilators and commonly used connectors and adapters for the patient tubing. Unique stationary concentrator from Respironics that delivers the features you want and deserve. SleepStyle™ 244 CPAP includes Fisher & Paykel's Ambient Tracking™ Plus Heated Humidification, Compliance Data and Efficacy Reporting, SmartStick™ Technology and Automatic Altitude Adjustment. SleepStyle™ 242 CPAP includes Fisher &Paykel's Ambient Tracking™ Plus Heated Humidification, Compliance Data Reporting, and SmartStick Technology. SleepStyle™ 254 Auto CPAP includes Ambient Tracking, Heated Humidification, Compliance Data and Efficacy Reporting, SmartStick Technology, Automatic Altitude Adjustment. Click for more details. The SleepStyle™ 604 CPAP includes Fisher & Paykel's ThermoSmart™ controlled humidity and Compliance Data Reporting. Click for more details and call for discounted pricing. SleepStyle™ 608 CPAP includes Fisher&Paykel's ThermoSmart™ controlled humidity, Compliance Data Reporting, Automatic Altitude Adjustment and Leak Compensation. Click for more details and call for a discounted price. USB cable compatible with Nonin and Respironics pulse oximeters for downloads. TrueBlue Gel Nasal Mask has Auto Seal technology and comes in five sizes. TrueBlue Gel Nasal Mask in DuoPacks which includes headgear and an extra cushion with flap. TrueBlue Gel Nasal Mask in FitPacks which includes headgear and two cushions with flap in two different sizes.